Most visitors to the state will need a car to get around, and a Google search for “California rental cars” will produce the major agencies’ contact information for you. Some of the companies are Alamo, Avis, Budget, Dollar, Enterprise, Hertz and Thrifty. If you are looking for exotic cars, you might want to check out Beverly Hills Rent-A-Car or City Rent-A-Car. All the major airports in California (and most of the smaller region airports, as well) have rental cars available. It is sometimes less expensive, however, to rent a car in a suburban or downtown area. Unfortunately, rather like airline tickets, there doesn’t seem to be a lot of “rhyme or reason” to California rental car pricing so you should resign yourself to investigating several different options if you’re looking for the best price. whether emergency road service is included. You should also be certain to have a clear understanding of the car rental company’s definition of “a day” (and how your pickup and return times work within that definition) as well as any late fees that might be assessed for not returning the vehicle at the agreed-upon time. some agencies require proof of insurance if you wish to waive additional coverage. You’ll also want to have a clear understanding of the coverage provided by your insurance carrier (and, possibly, your credit card company) so that you will know whether to purchase or decline the car rental agency coverage. Properly investigating your options and understanding your liabilities will help ensure a pleasant experience. Before you leave the rental car agency, you’ll want to inspect the vehicle for any damage, verify that the gas tank is full, obtain a map and be sure you’re clear about how to get to your first destination. While public transit in southern California is not a likely option for most tourists, visitors to northern California cities may find this option greatly improves their overall experience (especially when you consider it can cost $25+/day just to park a car in San Francisco). Between BART (Bay Area Rapid Transit), the Muni system’s busses, streetcars and cable cars and the city’s ferry system, with a bit of patience and prior planning you can travel from place to place with relative ease and minimal cost. For even greater savings, visitors should check out the CityPass option, which allows the bearer to ride any Muni passenger vehicle (including cable cars) for seven consecutive days, plus admission to seven popular San Francisco attractions, all for one low price. CalTrain and VTA busses/light rail provide additional navigation alternatives from San Francisco to and throughout the Silicon Valley. And, while a visit to Wine Country (north of the Bay Area) or Monterey/Carmel (south of the Bay Area) will probably require a rental car, proper planning can certainly reduce the number of days one is needed. 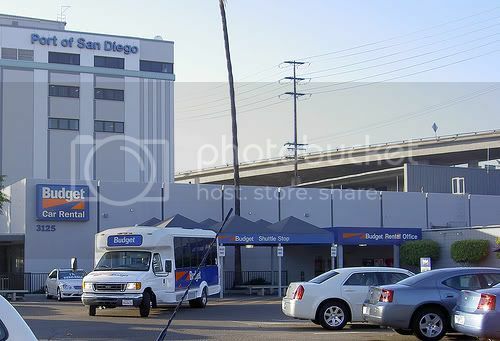 Photo of San Diego Rental Cars by summit cheese via flickr (Creative Commons).